With this product you can accumulate up to 118 Glitter Points. 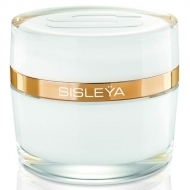 DESCRIPTION: Sisleÿa L Intégral Anti-Âge Crème Contour des Yeux et des Lèvres from Sisley is a complete anti-aging skin care for eye and lip contour. This cream will respond to the 4 main concerns related to the eye and mouth contour: wrinkles, firmness, puffiness and dark circles. Tolerance tested under dermatological and ophthalmological conditions. Suitable for sensitive eyes and contact lens wearers. Apply the cream in the morning and evening in the area around the eyes, eyelids and lip contour.